Apple, pineapple, banana fruit slicer can cut fresh root vegetables and fruits such as banana, apple, pineapple,lotus root, cassava, sweet potato, radish and lemon into slices. 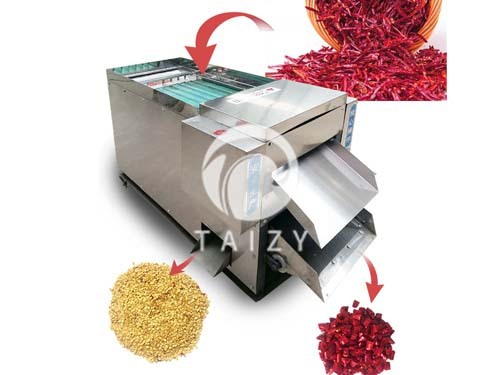 Potato chips slicing machine adopts quality rotary cutter with good cutting effect. The sliced products are uniform in thickness and size, and the fresh tissue are remained with the fiber tissue of the product not destroyed. 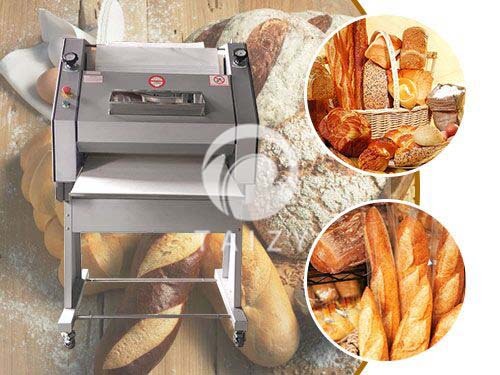 Meanwhile, the fruit slicer is characterized by high slicing efficiency, ease of operation, low energy consumption, which is healthy, safety and efficiency. 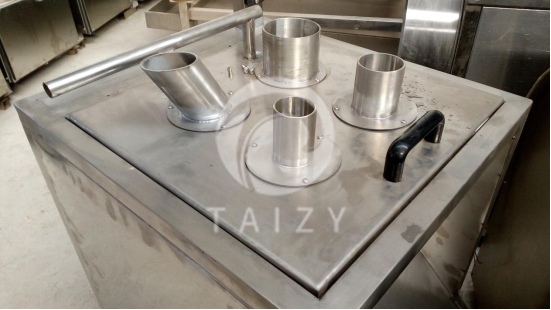 It is an vital equipment for vegetable and French fries processing industry. Apple pineapple banana fruit slicer, the whole machine are made of high quality stainless steel, which is beautiful in appearance, convenient in cleaning and maintenance, and is in line with the international provisions on food hygiene and safety. The cutting knife is made from high carbon stainless steel, with remarkably high strength, high hardness, the blade is very sharp that it is deformation free. High work efficiency is ensured. The cut surface of the lotus root slice is very smooth. Without any damage, the chips are intact and beautiful in appearance. The yield rate is also very high, and the thickness of the product can be adjusted according to the production requirement. Due to its sharp blades, apple, pineapple and banana slicer create less friction during cutting. During the fruit slicing cutting into pieces, temperature rises slightly,which is the best precondition of long-term preservation. 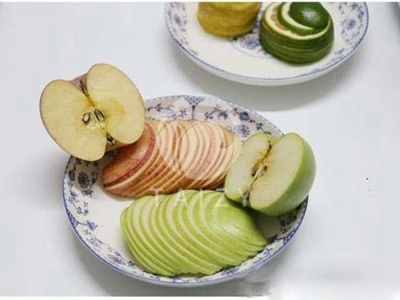 The fruit slicer can cut fruit in neat shape and even thickness. 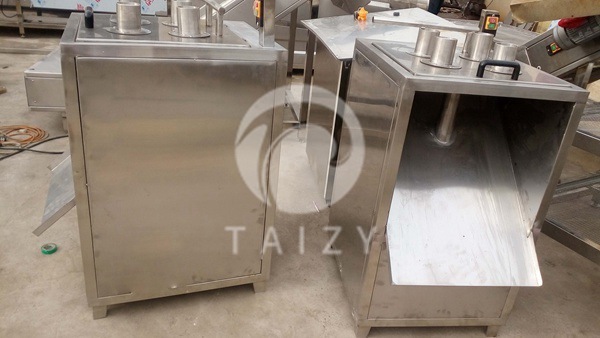 It is an ideal equipment for export food processing enterprises, frozen vegetable processing enterprises, supermarkets, restaurants and hotels to slice or cut fruits and vegetables into julienne. Open the front door before cutting, dial manually to observe whether there is friction between cutting tools, if there is, the loosen bolt mounted on the rotary table, pull the rotary plate outward slightly, then tighten the fixing bolt. Close the load switch and start the button to run the machine check to see whether the direction of the cutter is correct. To make sure the plate is rotating counterclockwise, operators can observe from the feeding port; otherwise, adjust the power cord. After running no-load test of the cutting tool, and the direction is correct, and there is no abnormal sound, the machine is ready to be tested. 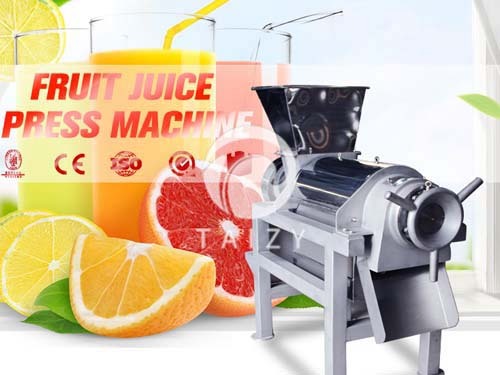 pineapple slicer Apple pineapple banana fruit slicing machine operation:trial cut the raw material before working to observe the specifications of the sliced potato is in accordance with requirements. The inconsistence indicates the blade and the height of the rotary plate is needed to be adjusted, be replaced. Adjust the slicing machine to make sure its regular working, the thickness of the slices are determined by the clearance between the lower plate and blade. Adjust the blade clearance of pineapple slicer to change of the size of the finished product.